Fall is finally here! Join us for our next show this Sunday, September 20! Our first fall show is coming up this Sunday, September 20 and we look forward to seeing you there. It’s always FREE and we are open 9 am – 3pm! We had a great show in August after the summer July hiatus – lots of goodies and new items from our vendors and a great turnout by music lovers. One cannot help but notice the artistry that is rarely found these days. First some fun. 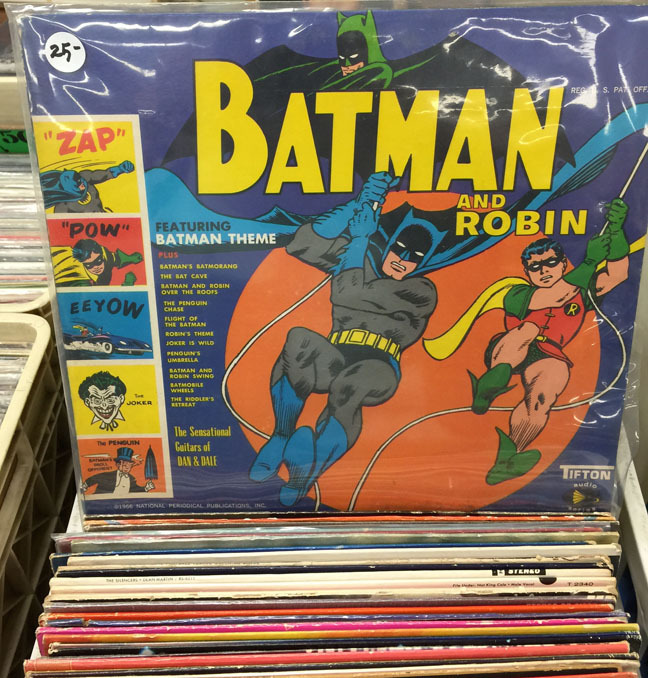 Remember the campy and fun TV series in the 60s – Batman and Robin? They made a record soundtrack and it is a rarity. 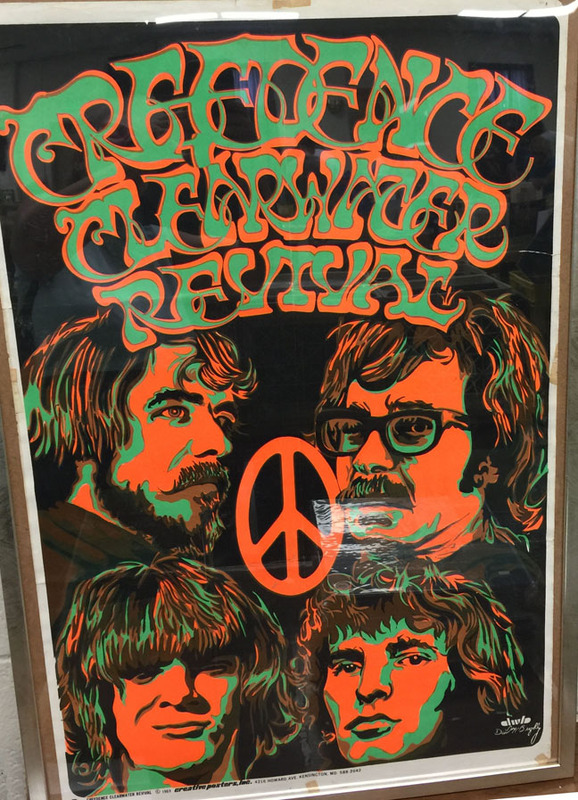 Below is a gorgeous poster for the band, Creedence Clearwater Revival, by the famous rock poster artist, Dail W. Beeghly, done in the 1960s. 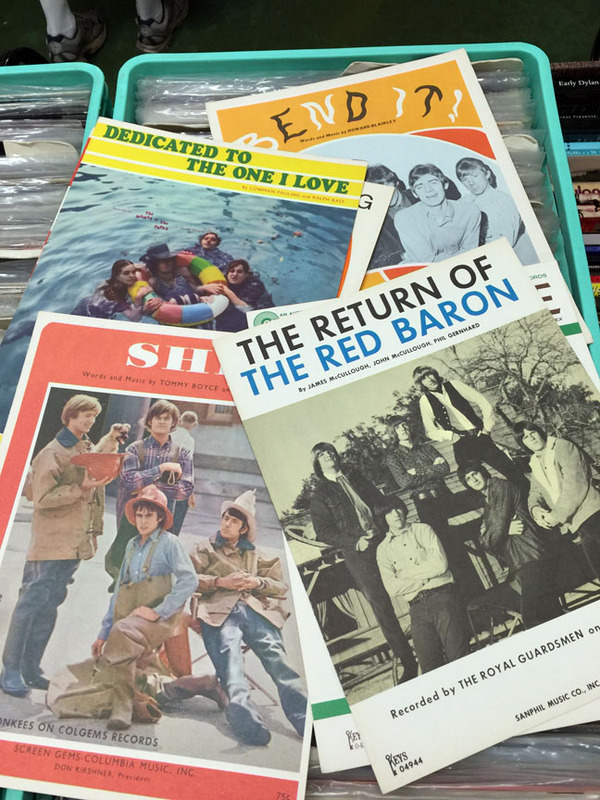 We also found some great sheet music from more 60s bands including The Monkees, The Mamas and the Papas, The Rolling Stones, and The Royal Guardsmen. 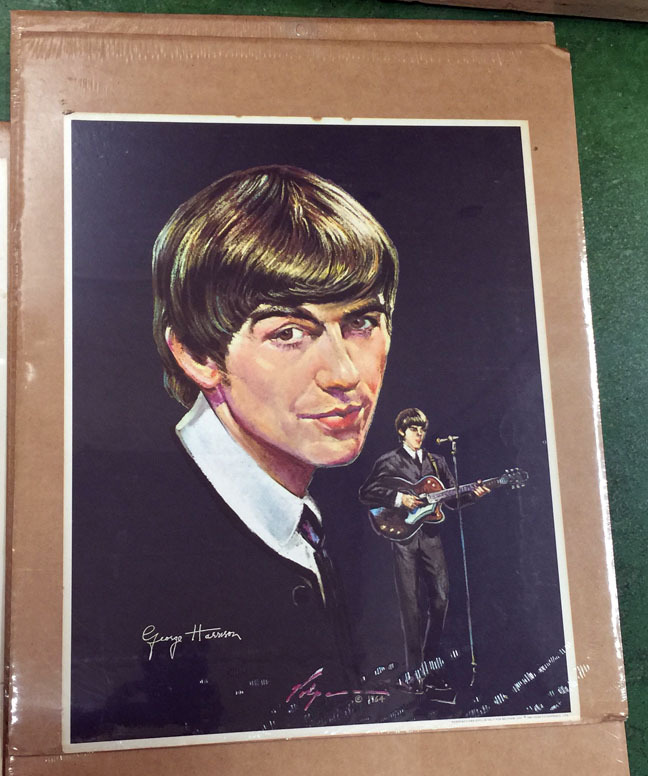 Our own Frank Ruehl had a another great treasure – four prints of The Beatles, illustrated by the distinguished artist, Nicholas Volpe. 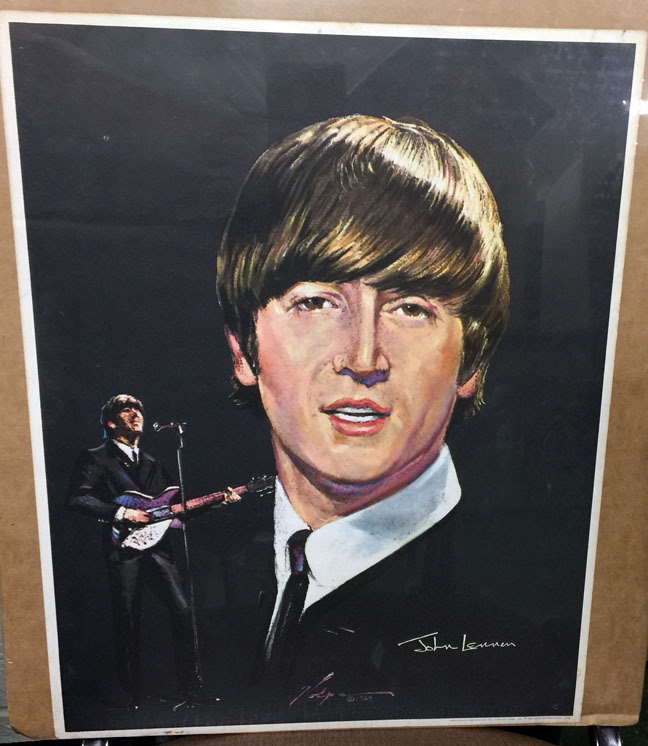 He painted portraits of many famous celebrities and world leaders. He won a Golden Grammy in 1958 for Best Album Design for Frank Sinatra’s record “Only the Lonely” and had a lifetime contract to do the portraits of the actors and actresses who won Oscars for Best Performance each year. Volpe also completed portrait commissions of President John F. Kennedy, British Prime Minister Winston Churchill, General Dwight D. Eisenhower, and President Ronald Reagan. These drawings were originally done in pastel on black paper. 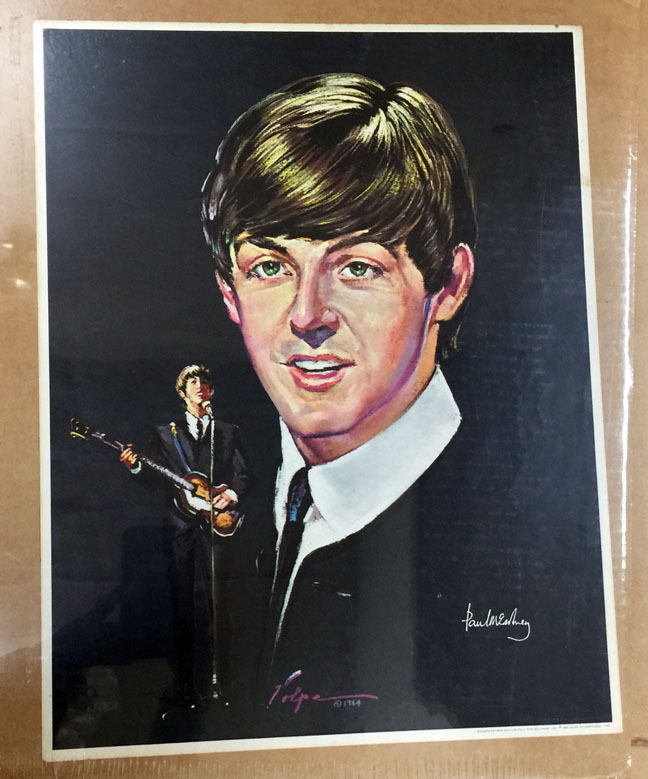 There are also notable because the first sitting for these drawings was done shortly after the band had come to New York City in 1964 for their historic performance on the Ed Sullivan Show. The final sitting took place in Las Vegas. Capitol Records created posters from the final illustrations. This entry was posted in 80s pop, albums, arbutus record show, big band, books, CDs, collectibles, country, funk, gifts, jazz, love songs, music, new wave, posters, psychedelic, psychedelic music, R&B, RnB, Rock n Roll, rockabilly, vintage, vinyl and tagged albums, Arbutus Record Show, Batman and Robin, Beach music, big band, books, CDs, collectibles, country, country music, Creedence Clearwater Revival, Dail W. Beeghly, DVDs, funk, George HArrison, gifts, John Lennon, metal, music, new wave, Nicholas Volpe, Northern Soul, Paul McCartney, posters, psychedelic, R&B, record show, record show CDs, records, Ringo Starr, rock and roll, Rock n Roll, rockabilly, sheet music, soul, soundtracks, THe Beatles by arbutusrecordshow. Bookmark the permalink. 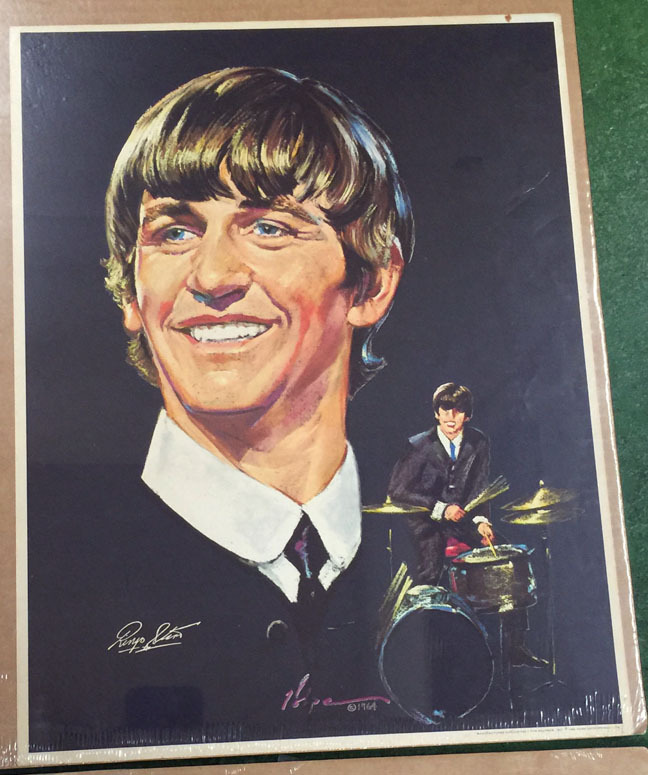 I am trying to find out if I have a replica of those pictures drawn or the original and how much they are worth?